I am a people pleaser. That’s right – I admit it. Right here – in front of all of you. I spend waste a great deal of time worrying about what other people think of me. My parent’s told me that I should always play nice and then people would like me. Winning approval from others is was important to me; partly because of how I was raised, and partly because of how I am wired. It took me many years to realize that I was basing my self-worth on what other people thought of me instead of what I thought of myself. When you make choices based on other people’s expectations (sometimes explicit and sometimes assumed) most of the time, you regret them because they are not coming from inside you. You probably know someone who has made important choices like where to go to school, what career to pick, even who to marry, not for their personal benefit really, but because they wanted the ultimate approval from their ____________ (choose one or many) parents, spouse, friend, business associate, etc. Living up to someone’s image of you instead of your own makes you invisible. In the end it erodes your feeling of personal value – of self-worth. There are many people who do not value their own self-worth and this shows up in their work, in their level of happiness, and in their brand. If you build your personal brand with no self-confidence, it is like a house of cards, it will fall as soon as the wind blows. 2. We all make mistakes. One of my favorite quotes is by Mary Pickford: “If you have made mistakes, even serious mistakes, you may have a fresh start any moment you choose, for this thing we call “failure” is not the falling down, but the staying down.” The past, is gone. Free yourself by leaving the past, in the past. My daughter rode horses when she was little, and when she fell off (which you always will sooner or later), I picked her up and put her back in the saddle. We all fall off from time to time, it’s how you continue the ride that makes the difference. 4. Take responsibility for who you are. You are in control of your attitude, how you react to situations, and your sense of self-worth. Eleanor Roosevelt said, “no one can make you feel inferior without your consent,” so don’t let them. It is your job to prove to yourself that you matter. We can not always control the things that happen to us, but we can control how we handle them. 5. Value yourself. 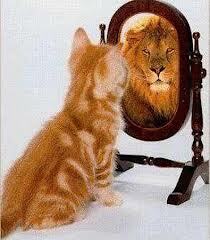 “Self confidence is the most attractive quality a person can have. how can anyone see how awesome you are if you can’t see it yourself?” – Unknown I bet you could write out a nice list of all your faults right now, but what I want you to do is write down your skills and abilities. 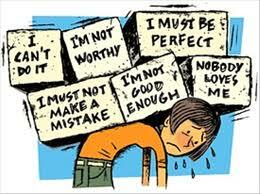 A big part of valuing yourself is stopping the negative internal talk and focusing on the positive things. Everyone is good at something – be real with yourself. Just name even one or two things that you enjoy doing. What have you learned about your self-worth? Have you reinvented yourself lately? Good words that I should take to heart. You keep me inspired. Thank you. Thank you Cathy. It helps to know that my posts actually touch people. I appreciate the comments. I’ve gone through the process of changing the “is” to “was” … It was Brene Brown’s book, The Gifts of Imperfection, that finally helped me to set aside the behaviours and attitudes I didn’t want to perpetuate in my life, or model for my children as they had been for me. I appreciated that her book was the culmination of her years of research with people on issues like shame, leading to what she calls ‘whole heartedness.’ This was the first book I had found that didn’t seem to list all the problems of being human, but showed all the beauty we share. Did you read anything that helped shift your perspective?